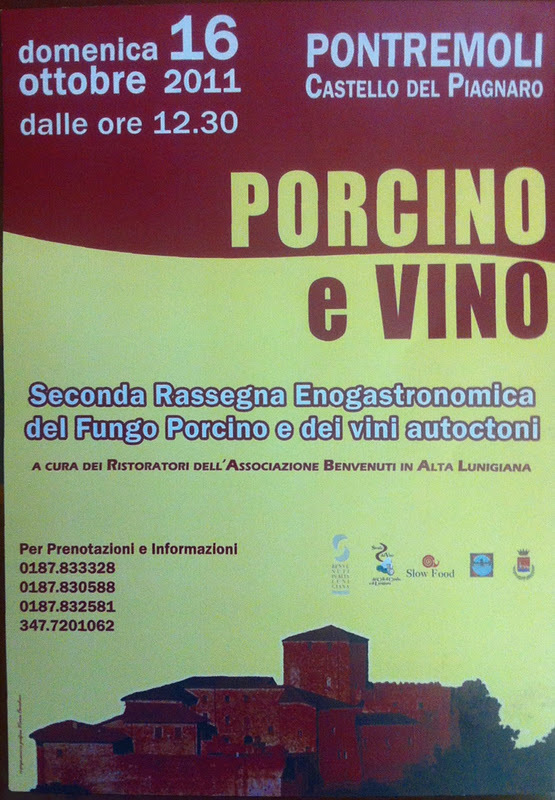 A funghi festival took place today in Pontremoli. And not just any funghi....the porcini. We were very excited to attend and taste porcini prepared different ways paired with local wines. And if it weren't enough to taste porcini dishes in Italy, the festival was held in an old castle, yes an old castle! Such a great experience.